Hearts and Spades Community Garden was founded in 2010 with the mission of improving access to food that is healthy, affordable, and produced in Hinsdale County, of educating the public on sustainable growing practices, and of increasing our community's self-sufficiency by supporting a resilient local food system. We are organized and run entirely by about a dozen local volunteers. Our community-build, brand-new enclosure--with 24 raised beds, a shed, and space for a greenhouse--is located just north of the Lake City Area Medical Center on Henson Street, next to the Lake Fork and Pete's Lake Drainage. Thanks to your hard work and dedication we are launching our second growing season, and are rapidly expanding with dedicated crew of volunteer. Our Facebook page will be your one-stop shop for any and all news about the garden's progress. Like us and watch the garden grow! The Lake City Community Garden Group invites part-time and year-round residents of Hinsdale County to participate in an anonymous community health and food security survey. From May 15-August 15, 2014, residents may fill out the survey online at www.surveymonkey.com/s/HS_foodandhealth. Paper copies will be available at Hinsdale County Public Health, Mean Jean's Coffee Shop, The Country Store, and the High Country Market. Representatives of the Lake City Community Garden Group will also administer the survey at public events throughout the summer, including the upcoming Lake City Annual Health Fair on Saturday, May 17th, and the Lake San Cristobal 5k/10k on Saturday, June 7th. On average, it takes six minutes to complete. The survey’s 32-questions are designed to collect data about the lives of Hinsdale County residents that is frequently inaccurate or missing from other data sets, including cost of living, nutrition and exercise, household income, hunger, and access to fresh, healthy food. 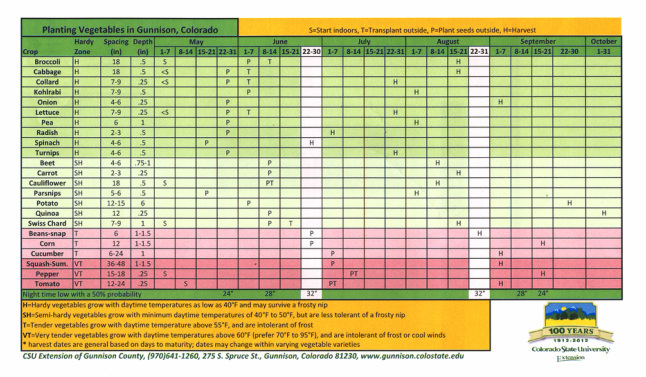 The surveys are based on food security assessments implemented in Gunnison and La Plata Counties, and the questions were tailored to our community with input from Hinsdale County Public Health and Dr. Scott Cohn, Assistant Professor of Psychology at Western State Colorado University. 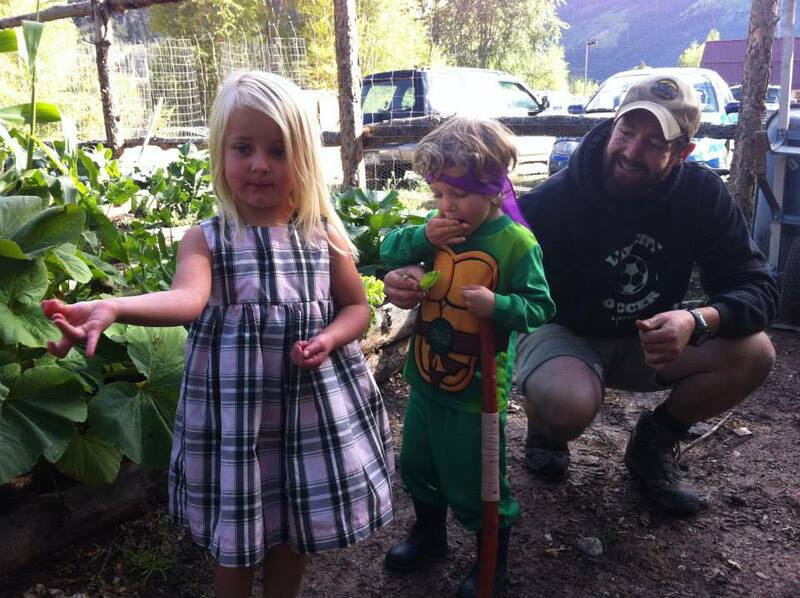 The Lake City Community Garden Group is proud to launch a $52,000 capital campaign to build an off-the-grid greenhouse within the existing boundaries of Hearts & Spades Community Garden. The garden group first shared news of the project at the Shpadoinkle Harvest Day last month, when the public was invited to feast on locally-grown delicacies from the garden’s first harvest. The greenhouse would enable Hearts & Spades to grow year-round, creating a market for locally-grown produce and a revenue stream to ensure maintenance of the garden and oversight of its programs. These programs include delivery of fresh, nutritious produce to families in need, and education opportunities that currently would cease when school is in session due to the short growing season. The 560 square-foot Hearts & Spades Greenhouse is engineered for mountain temperature fluctuations, so it requires no electricity to maintain growing temperatures during winter freezes and summer heatwaves. The designer is Cord Parmenter of Wild Mountain Gardening, who uses his home in Westcliffe, Colorado, as a 7,888 foot-high testing ground. His designs are being implemented throughout the state, including at a private residence in Ridgeway and Colorado College in Colorado Springs. 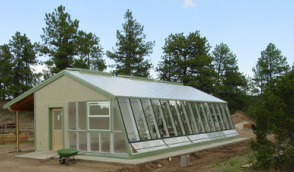 Parmenter also teaches classes in passive-solar greenhouse design and high-altitude horticulture for Colorado State University Extension and the Denver Botanic Gardens. The group decided to move forward with the project after receiving encouragement from both the community and several Colorado grantmaking organizations. This past Tuesday, the Lake Fork Community Foundation pledged $2,500 toward the greenhouse project, and last week the Lake City Town Trustees voted to grant the group a 10-year, non-revocable lease on the Hearts & Spades Community Garden property. The Colorado Garden Foundation has approved the group’s request to submit a $15,000 challenge grant for the greenhouse, which requires that the group raise $15,000 to match the Foundation’s contribution. The El Pomar Foundation also green-lighted a request for $10,000 for the project in June at Western Slope Rural Philanthropy Days. It's Katherine's 30th Birthday!!! Join us for good, dirt-covered fun and icing-covered cake.